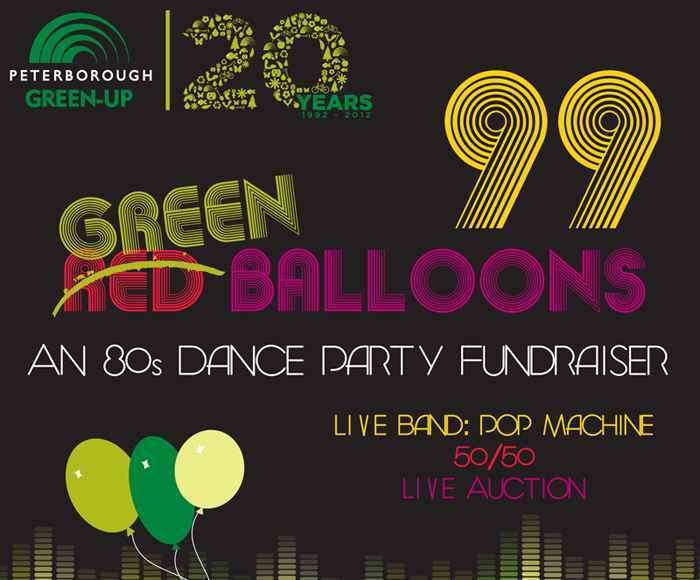 On Saturday, February 25th, The Montreal House will come alive with Eighties tunes to help raise funds and celebrate the 20th Anniversary of Peterborough Green-Up. Tickets are available at Green Eyewear and Peterborough Green-Up for $25 each. Get 'em while they're hot!